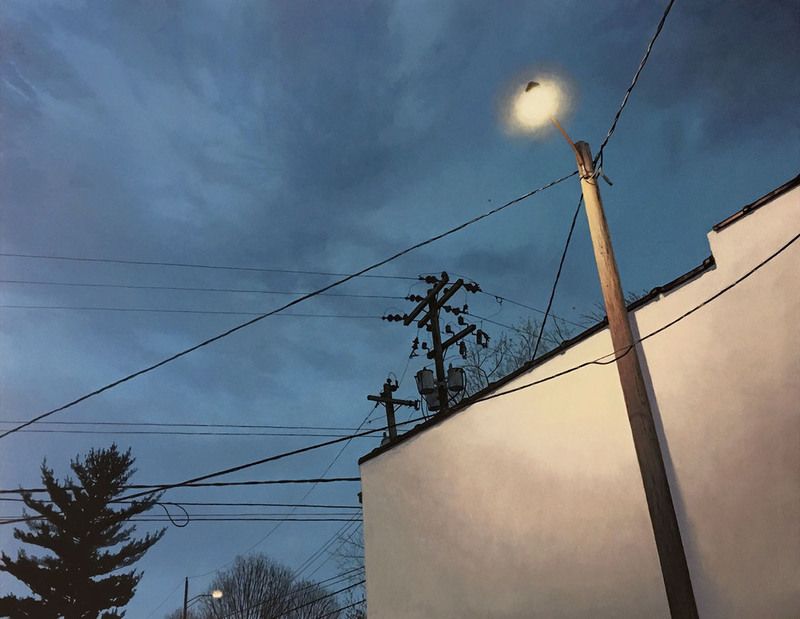 The search for something new, unique forms and compositions, in our everyday exterior environments are the subjects that are consistently sought after as the major contributors to my work. 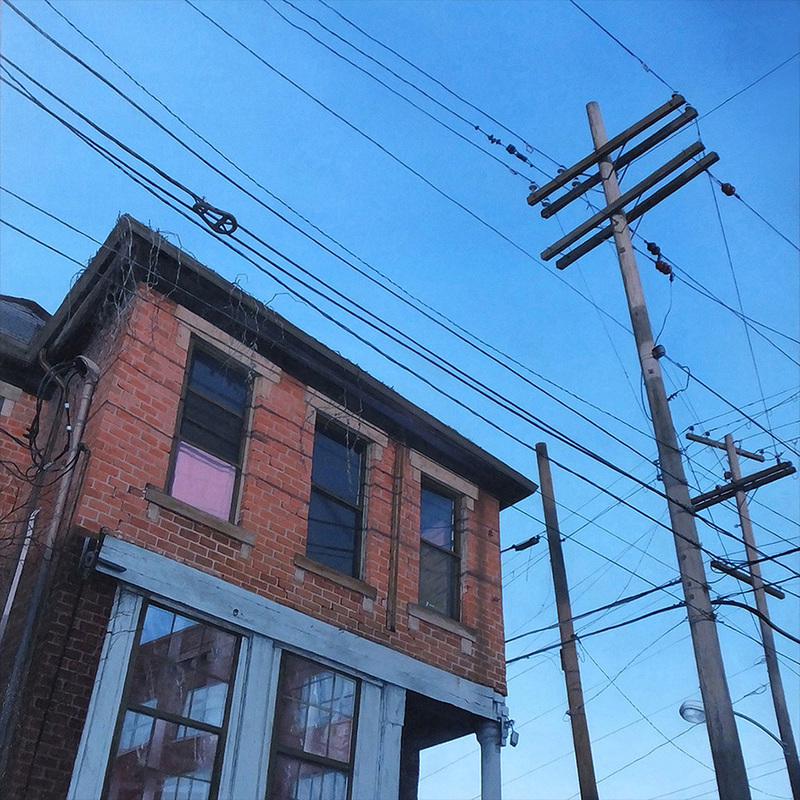 The main focuses of the pieces showcase the mundane within the landscape, for example, transformers, utility poles and wires, and how they interact with additional items within the composition. Taking something so utilitarian like that of a telephone pole with all of it’s components, on average would be, and usually is, looked upon as something that is less than visually desirable, yet when presented in a unique way it tends to make the viewer’s tune into not only in their everyday environments but also that of the world --- this gives an individual the capabilities to find beauty in the simplest of things. Another significant perspective with the paintings, in addition to the non traditional subject matter, are literal symbols that the lines and poles represent as the connectors of people, amenities, news, and information within our community, and the countless other locales within the state, the country and the world, as a whole. The archaic infrastructure that the items represent, at some point in the future, will be looked upon as relics of our past in a quickly developing wireless world that still yearns to be connected.